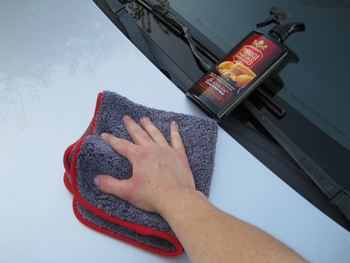 The Chinchilla Microfiber Buffing Cloth will become a fast favorite in your detailing arsenal. It's soft enough to earn the name, Chinchilla! This thick, plush towel is made of dense 600 g/m² microfiber with a deep pile surrounded with a red cloth border. Use the Chinchilla Microfiber BuffingCloth with quick detailers, waterless washes, spray waxes, and for dusting. 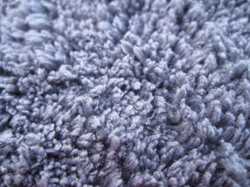 Used dry, the Chinchilla Microfiber Buffing Cloth is excellent for dusting interior surfaces. Microfiber has a knack for grabbing dust and lint. 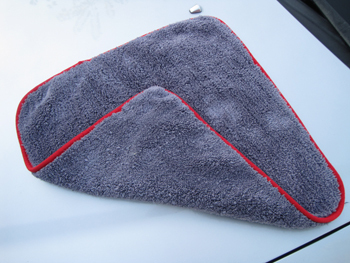 This 16 x 16 inch towel is handy for wiping down the dashboard and instrument panels. Both sides of the Chinchilla are soft and fluffy. The Chinchilla is perfect for quick detailing and waterless washing. When you're done detailing, toss the Chinchilla Microfiber Buffing Cloth into the washing machine with your other microfiber towels and BLACKFIRE Microfiber Cleaner & Restorer. When washing and drying microfiber, always avoid bleach, fabric softener, dryer sheets, and high heat. Tumble dry on low heat or hang to dry.